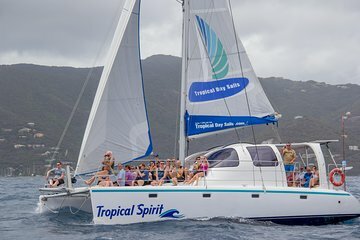 Leave the crowds behind on this private day sail through British Virgin Islands. You and your party will have the run of the 40-foot (12-meter) catamaran to yourselves as the captain navigates the aquamarine waters. Take advantage of the ability to make your own itinerary or ask the captain to suggest one; you can island-hop, snorkel, or find a deserted beach and hang out.